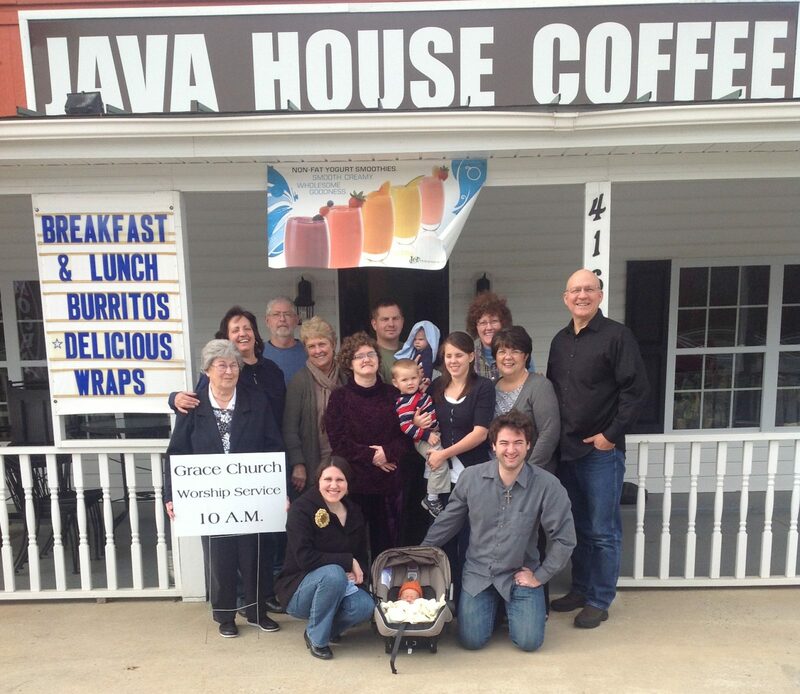 The Greensboro, N.C., Grace Brethren Church gathers for weekly worship at a local coffee shop. “Even though it’s a religious area, there are so many people that don’t have a clue about what true Christianity is,” Pastor Daniel Pierce said, reflecting on the communities surrounding the Greensboro, N.C., known as the Triad. He and his wife, Teressa, are planting a Grace Brethren church there. When the couple announced in July 2011 that they were beginning a new ministry, four families from their previous church plant, the Grace Brethren Church in Greenville, Ohio, decided to join them in pioneering a new work. The Pierces chose the area because Greensboro is the third largest city in North Carolina. The region is also the home of five different colleges, including North Carolina School of the Arts located in nearby Winston-Salem. They realized that “80 to 85 percent of the population … does not attend church on a regular basis,” according to Daniel. 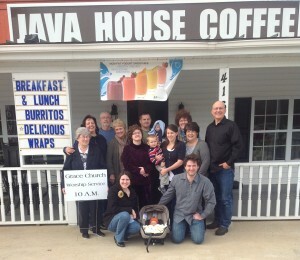 This church plant differs from their previous work in Ohio. The Greensboro effort is missional, rather than traditional, meaning, “each family, each person in the church is to be a missionary,” says Daniel. “They are to get connected. They have to learn the culture … [once] a person receives Christ as Savior, then they have the responsibility also to disciple them. Right now, three counties and numerous communities are being impacted by these missionaries, in hopes that there will be separate pockets of people connecting, being the church. Pierce’s belief is that the church is a family, where there is love—for the Lord and for each other. “We’re really not focused on buildings. It’s about people,” Pierce said. Sarah Kraus is an intern with the Brethren Missionary Herald Company. A senior at Grace College in Winona Lake, Ind., she is from Eldersburg, Md.